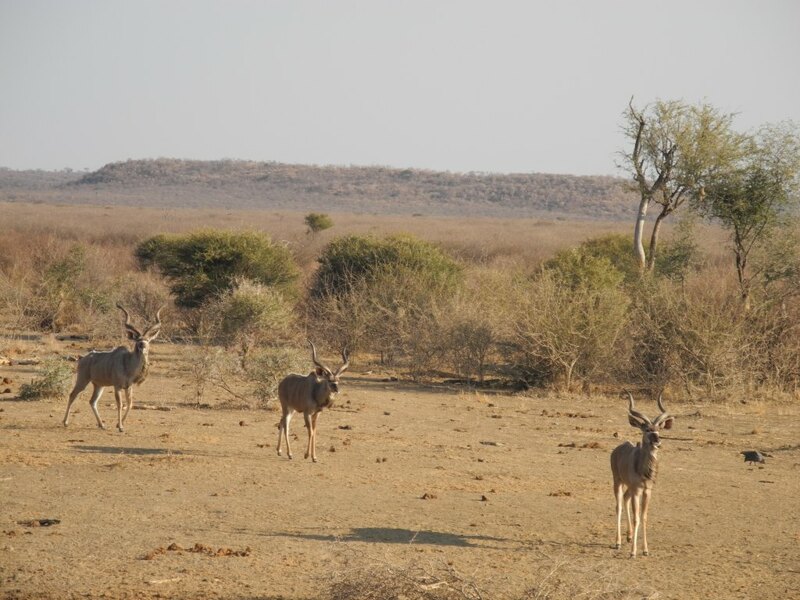 Recently we realized that it has been a long time since our last game drive and shortly after that Björn surprised me with a quick weekend getaway to Madikwe, Big Five country. So we drove the short distance across the border and spent a night at the Buffalo Ridge Lodge, where we’d been already twice before. 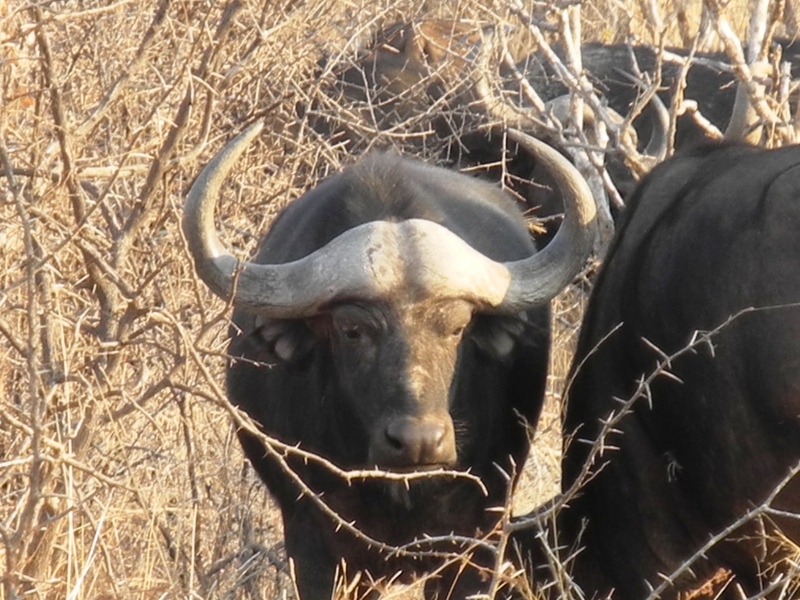 We were only there for about 24 hours but it was totally worth it and we got to see four out of the Big Five. 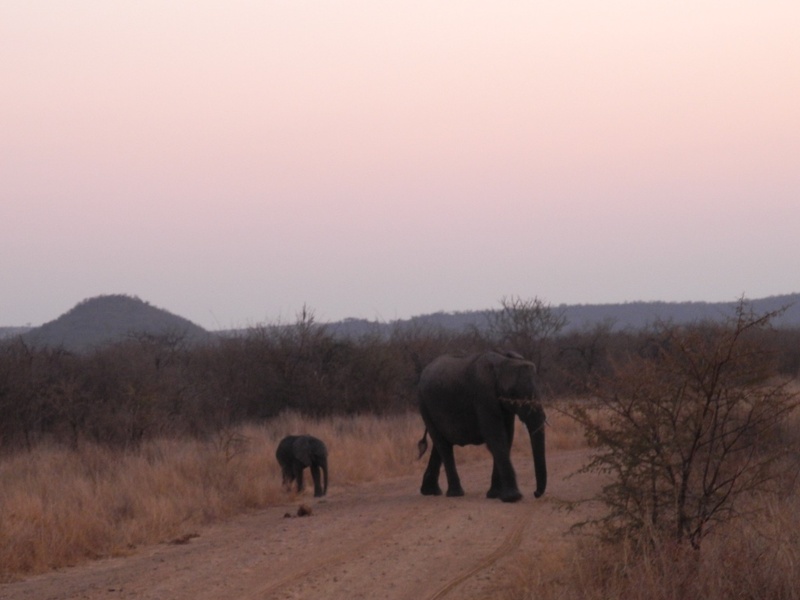 When driving to the lodge, we already came across a group of elephants with the tiniest baby elephant lumbering behind its mother. 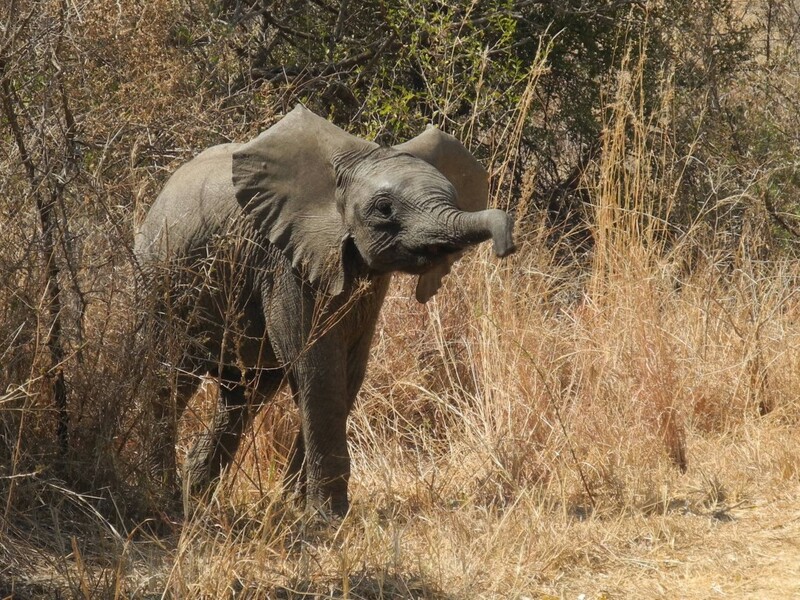 He was so small he didn’t really know how to use his trunk and it was the cutest thing to watch. The lions were lazy and had a very full belly, so the zebras and kudus came out of the bush to the water hole. The buffalos were grazing next to the road and seemingly peaceful, but I am not sure you can trust their cattle-like appearance. As everywhere else in South Africa, Madikwe is also experiencing a lot of rhino poaching with the number of killed rhinos at a total of eight for this year alone. There are still a few in the reserve and we saw them from a distance. It was such a great escape and for once it didn’t involve hours and hours of driving. Yay!